Hello! I'm back! 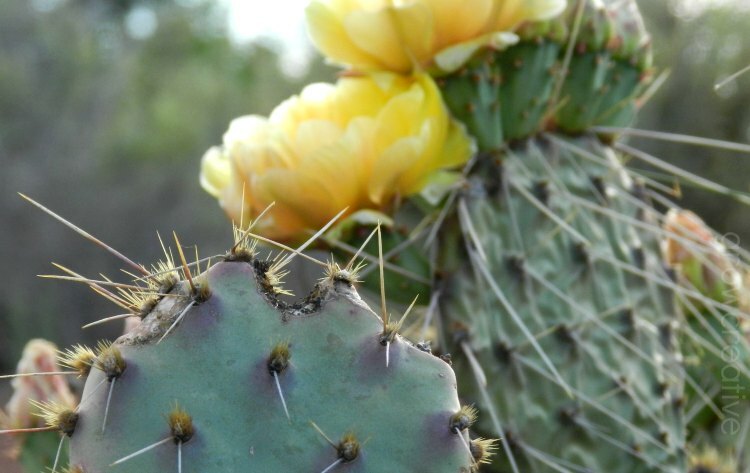 I spent a few weeks recuperating in Arizona with my family. They have a considerably large yard that I could wander around in taking pictures. 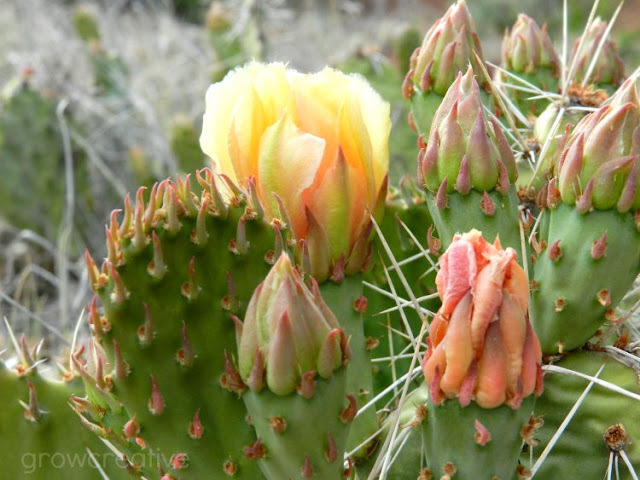 The walking was good for me physically and I discovered that the prickly pears were in bloom! So pretty! Turns out those walks were good for my soul too. It was on these walks that I had time to come to terms with just how I feel about this hysterectomy. It's the hardest thing I have ever had to let go of and the sadness is deeper than I thought at first. I wanted more children of my own more than anything. I still cry every day. My biggest hopes and dreams have been taken away and I have to find a way to let go and be happy. I can't imagine facing this without my faith in God. I'm so thankful for your faith to see you through this really hard time. So glad to hear from you again! I'm sorry for your loss but glad that you have your faith to help you through this. 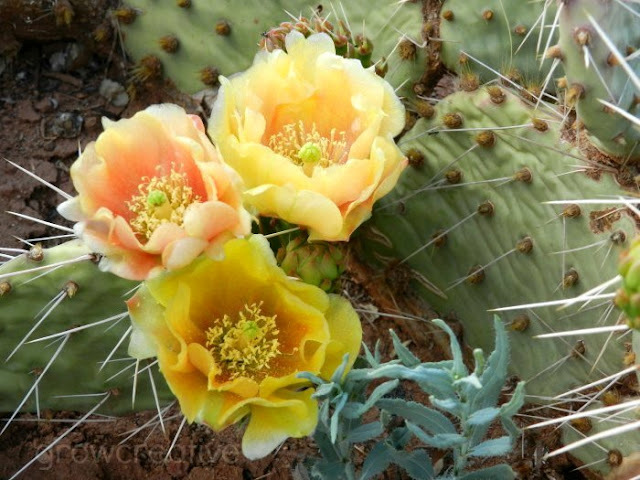 The photos are so pretty - I love prickly pears. You send out photos of luscious colour and form, filling the page, and making my eyes so happy that I want to cry with you! Those yellows are just what I needed to see today! Go ahead, float down that river of tears until your find some new hope and dreams to keep your life alive and vibrant, sweet and tender. These photos are beautiful. 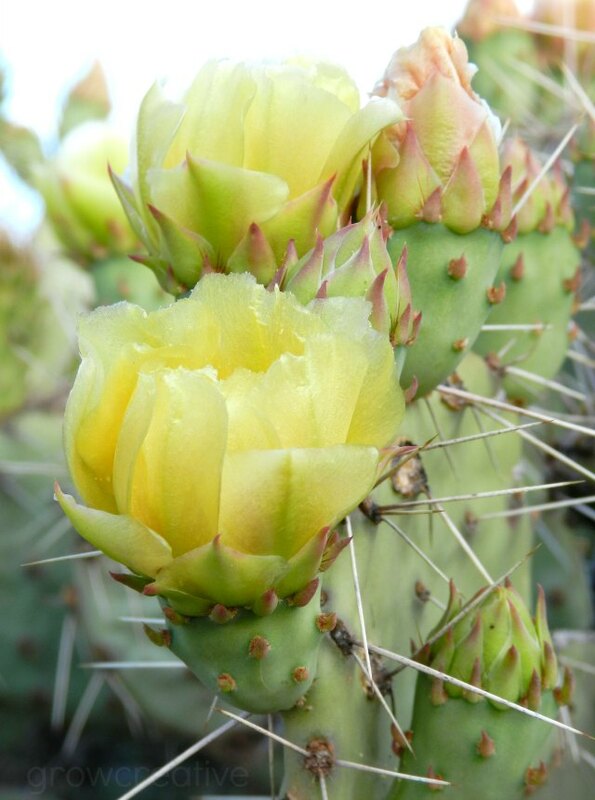 Loving the colour and the prickley cactuses. Its healthy to cry. You need time to let yourself heal. I'm sorry for your loss, it must be painful. Thanks Jenna. I agree- it's good to cry and let those emotions go. Beautiful Elise! It's been so long since I've been home this time of year, I didn't even remember what prickly pear blossoms looked like. I'm so glad you got to go home to rest and recover. There is no place as healing and comforting to my soul as home.